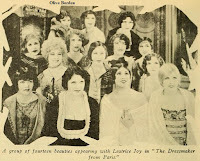 In 1925 Olive was given a small part in the silent romantic drama The Dressmaker From Paris. 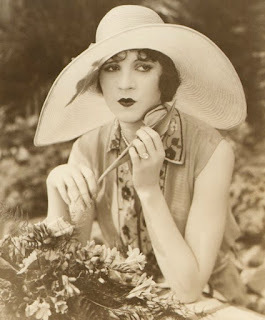 She was one of fourteen young actresses who played "Mannequins" in the film. 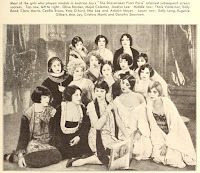 The other actresses included Yola D'Avril, Eugenia Gilbert, Sally Rand, and Cecille Evans. All the actresses got the chance to wear lavish gowns designed by Travis Banton. 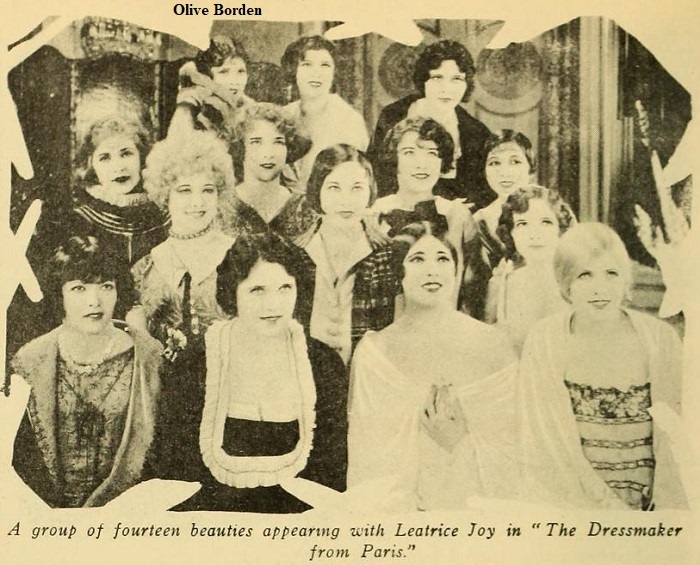 When Olive was cast in the movie she was almost broke and only owned one dress! The Dressmaker In Paris was directed by Paul Bern. 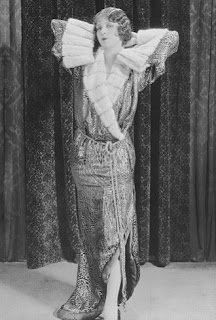 He and Olive dated for a short time and he also cast her in his comedy Grounds For Divorce. Tragically Paul would commit suicide in 1932 shortly after marrying Jean Harlow. The Dressmaker In Paris is now considered a lost film.